When the weather warms many Long Islanders start to break out their lures, rods, and fishing boats. With plenty of shoreline and even a few lakes and ponds full of delicious fish there’s never a bad time to take part in this popular pastime, but before you pick up some tackle you should make sure you know the basics. Do I need a license to fish on Long Island? In New York State there are different regulations for fishing in freshwater and in saltwater. 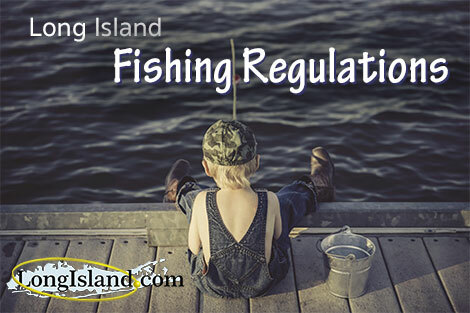 Those fishing in freshwaters, such as lakes or rivers, do need to obtain a license before doing so, but those heading out to the ocean or the Long Island Sound only need to register. What’s the difference between a fishing license and fishing registration? A fishing license allows individuals to fish in freshwater, collect baitfish for personal use from freshwater, and catch frogs. Licenses can be purchased for 1 day, 7 days, an entire year, or even for life. Marine fishing registration allows individuals to fish the saltwater areas of New York, such as the Great South Bay or the Long Island Sound. Registration is used primarily so that the National Marine Fisheries Service can collect activity information which it uses to set quotas, size limits, bag limits, and fishing seasons. Because it is not a license, there is no charge for registration. Where do I go to get a license or register to fish? Registering or obtaining a license can be done through the DEC’s website or by calling the DEC at 1-866-933-2257. Nassau and Suffolk are both home to numerous authorized sporting license issuing agents as well. Can I fish on Long Island if I’m not a New York resident? Yes, but if you are fishing in freshwater there is an increased fee for obtaining a license. If you are fishing in saltwater then you will need to register as well, unless you are a Connecticut or Rhode Island resident and have a valid license from your state. Where can I fish on Long Island? The most popular place to fish is out on the sea, and if you have a boat you can launch out of Long Island’s many boat ramps and marinas. The DEC does keep track of prime river, lake, and pond fishing areas as well. Is there a way for me to fish on the Sound if I don’t have a boat? Yes. It is possible to cast a line from some piers and docks, and if you want to get out into the water there are multiple boat rental options across the Island. 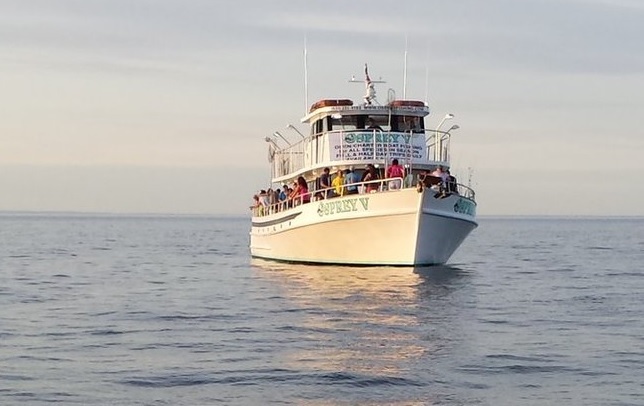 Long Island is also home to many great fishing charters, and if you’re heading out to for a day on a party or charter boat you do not even have to go through the trouble of registration. What sorts of fish are available to catch on Long Island? Bass and warm-water species can be found in ponds and streams on Long Island; some are even stocked with trout. 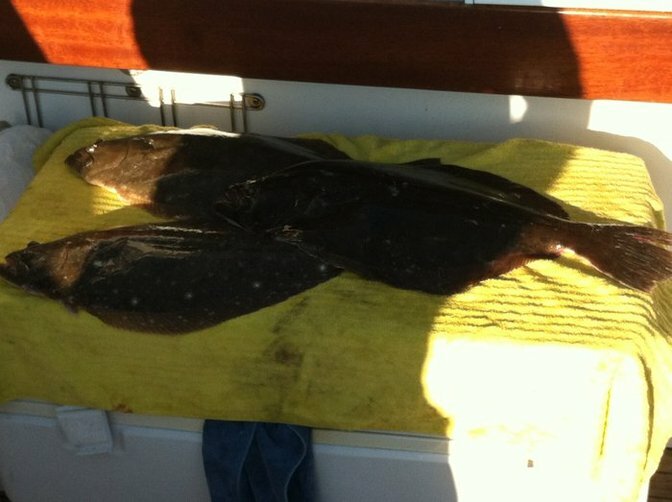 Many fish travel through the south shore and the Sound, and one of LI’s most popular fish to catch is fluke. Porgy are a common sight on fishing boats as well. What is the fishing season in NY for fluke and other flounder? For 2016, fluke are in season from May 17 through September 21, with a size limit of 18” and a daily possession limit of 5. Winter flounder, for which there is a size limit of 12” and bag limit of 2, will be in season from April 1 - May 30. Yellowtail flounder do not have an offseason or a bag limit, but do have a minimum size limit of 13”. Where can I get fishing supplies and bait? In addition to sporting good stores, Nassau and Suffolk County both have local bait and tackle shops where you’ll find lures, rods, bait, and some good advice as well. What about shellfishing and crabbing? Shellfishing is not covered by the same licensing and registration requirements as other forms of fishing in New York. Lobstering requires a New York State recreational lobster permit, which is available only to residents and can be obtained by contacting the Crustaceans Unit at 631-444-0435. A license is not required for crabbing, but there are size and harvest restrictions in place. No more than 50 crabs can be taken at a time for recreational purposes; hard shell blue crabs must be over 4.5”, soft shell blue crabs must be over 3.5”, and peeler/shedder blue crabs must be over 3”. Shellfishing and clamming does not require a license either, however, individual towns may require permits for shellfishing within their waters. The DEC will also often temporarily close shellfishing areas after periods of heavy rainfall. For more information about fishing seasons and restrictions, visit the 2017 Fishing Regulations Guide.